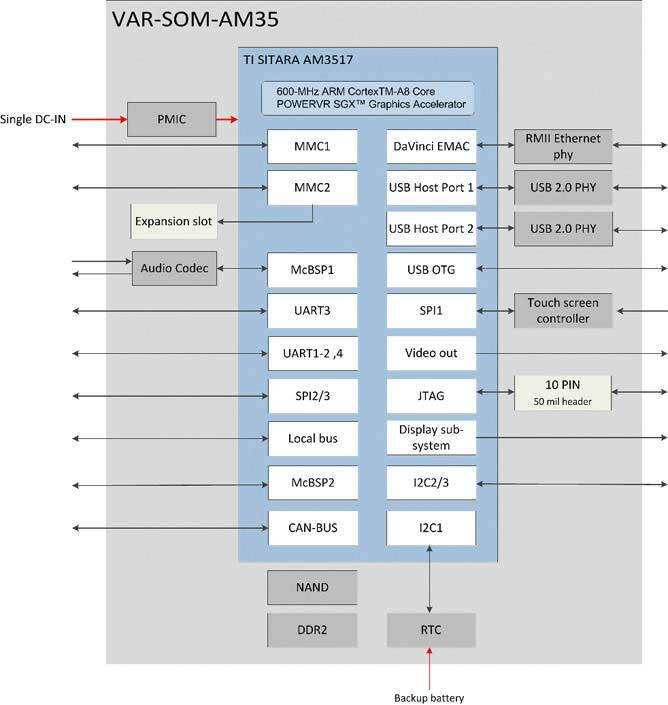 Based on the TI Sitara AM3517 and AM3505, the VAR-SOM-AM35 is a low-cost, high-performance System On Module. 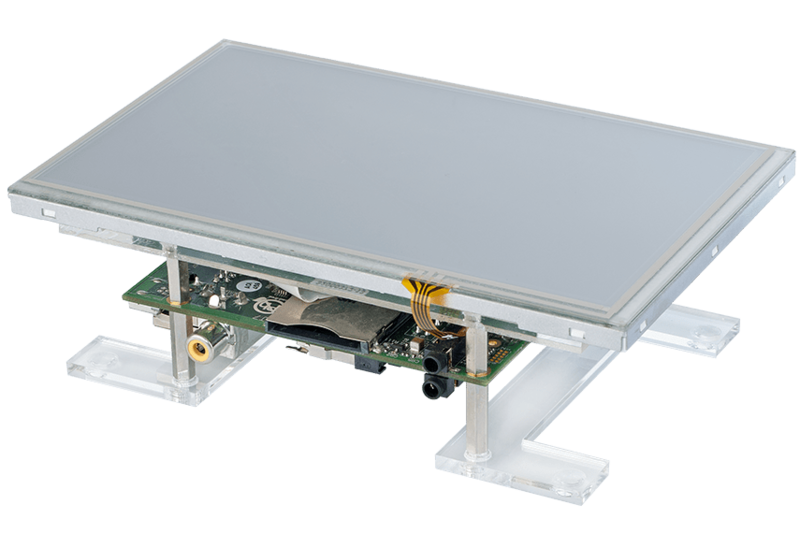 With an extensive range of interfaces including CAN Bus controller, it serves as the perfect building block for industrial and automotive applications. Available with a complete Android, Linux, Windows Embedded CE and Windows Embedded Compact 7 support. 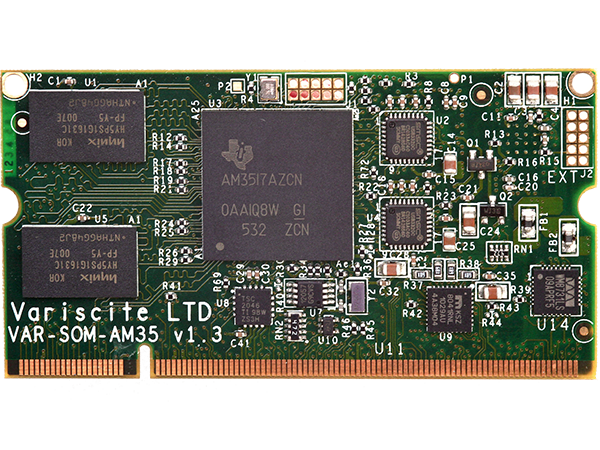 The VAR-DVK-AM35 serves as a complete development kit for evaluation and application development purposes. The DVK provides a great showcase of the VAR-SOM-AM35 connectivity features and performance.